Halifax truly is a wonderful place. 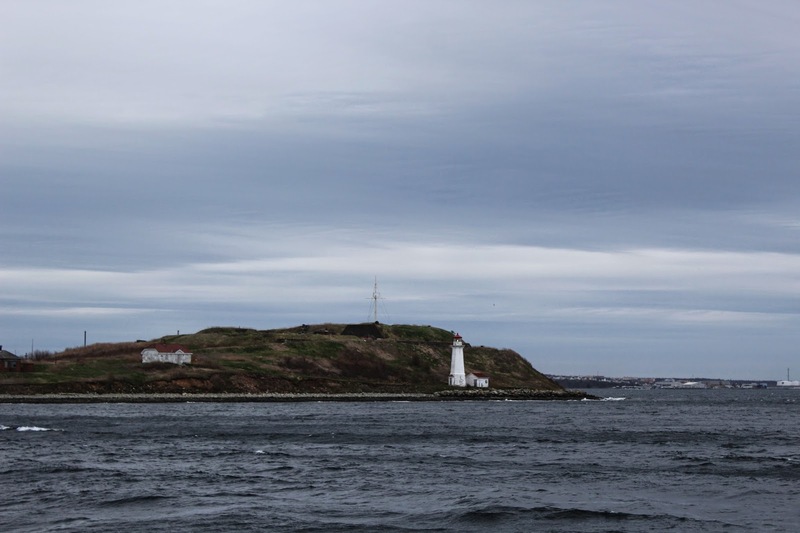 Yesterday, Aaron and I spent time exploring Halifax and falling even more in love with this city during Open City. I've been pretty sick this week, but I am so glad that I sucked it up and went out anyways. It was an overcast and windy day, with rain in the late afternoon and evening, but there were still hundreds and hundreds of people out, taking advantage of excellent food from restaurants and food trucks, samples of local cuisine, sales at local shops, music on every corner, yoga, hair braiding, face painting, free entry to museums, and activities like planting flowers for Mother's Day and sidewalk pottery making. There were coffee tastings and cooking demos, and it was all absolutely fantastic. 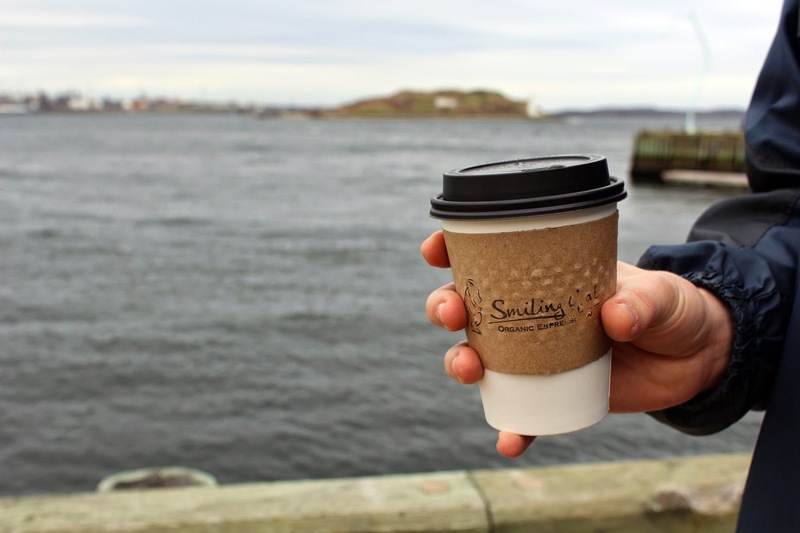 We started the day at the Halifax Seaport Farmer's Market. It was so crowded and vibrant, I couldn't even pull my camera out. We walked along the Waterfront and stopped at lots of the shops along the way. We got coffee at The Smiling Goat and watched some of the food trucks begin setting up for the day in Bishop's Landing. From the waterfront, we made our way to Argyle Street, one of my favourite streets in the city. It's packed with excellent restaurants and fun shops. We stopped and listened to some music by City Hall, then wandered down to Biscuit General Store. As we continued along Argyle, we got some tea from World Tea House (citrus mate for Aaron, Earl Grey with lavender and vanilla for me!) 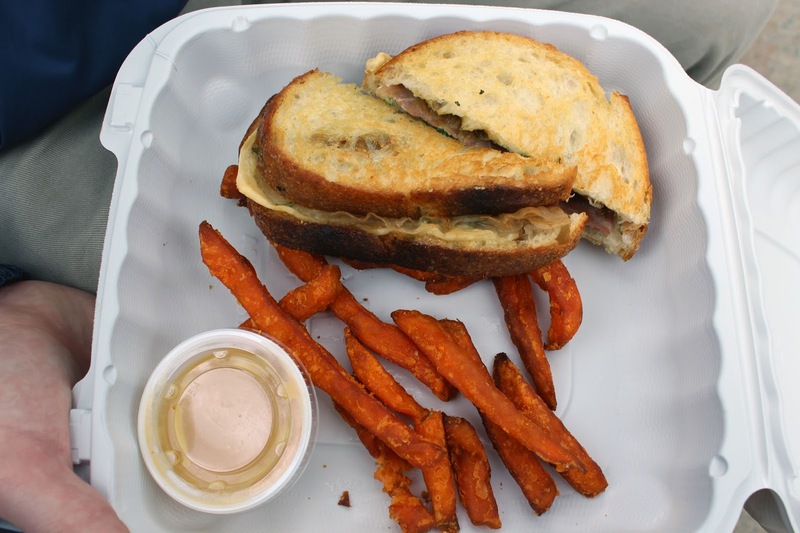 Aaron then ordered the best grilled cheese sandwich ever from Onyx: fontina cheese, proscuitto, and shallot marmalade on sour dough bread. We walked back toward city hall, relaxed on a bench and listened to some fantastic live music, and shared that fantastic sandwich while we sipped our tea. From Argyle, we made our way to Brunswick Street and headed to Steve-o-Reno's. 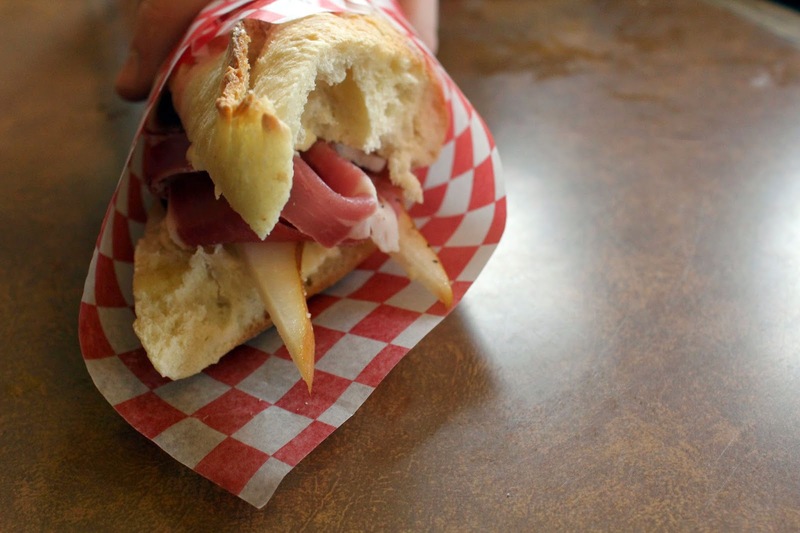 We split a brie, prosciutto, pear, walnut and dijon and agave dressing on a baguette, which was absurdly delicious. We stayed for the North Mountain Coffee tasting. 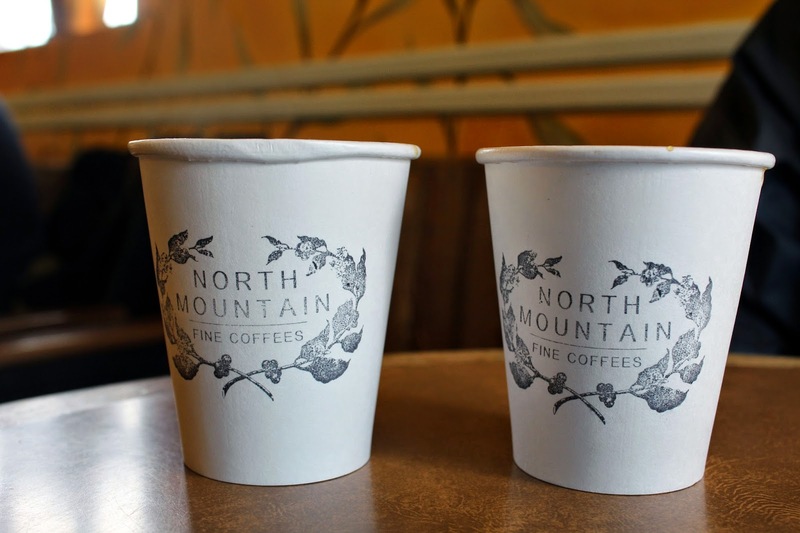 North Mountain is one of our favourite local coffee roasters. While at Steve-o-Reno's, we made plans to meet up with Aaron's parents, so we wandered back to the car, with a few more stops along the way. 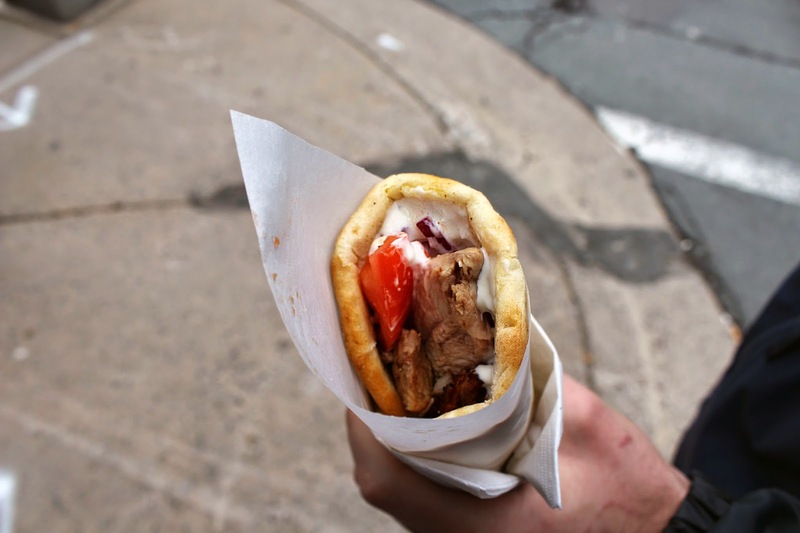 We shared a pita with local spit fired lamb with tzatziki, tomatoes, and red onion from the Argyle Bar and Grill. 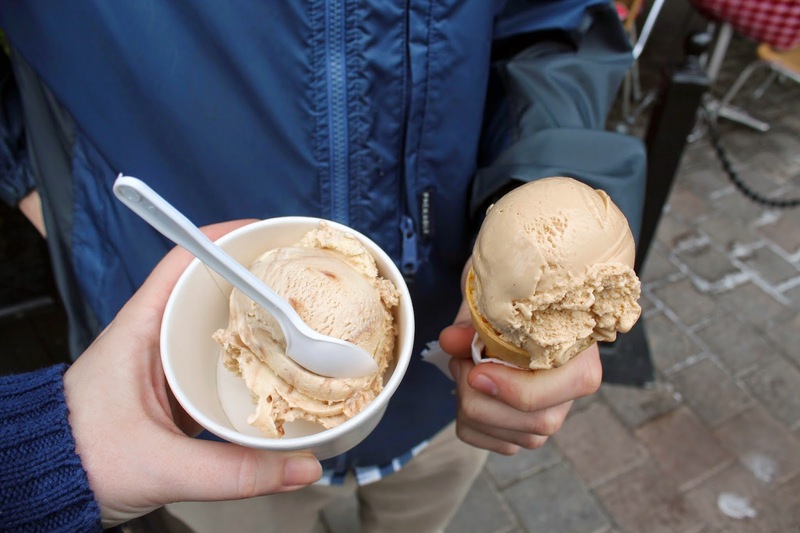 We then had some hazelnut gelato from Ristorante a Mano. It was delicious! We finished our evening at Obladee with Aaron's parents. Even though the whole day was fantastic, this was definitely a highlight. I love going out with Aaron's parents, and Obladee is one of the coolest places in the city. 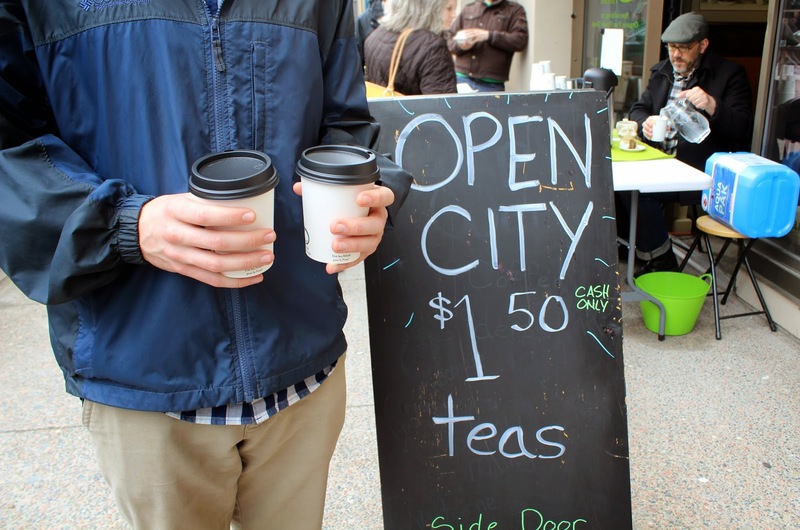 Open City was such a fantastic day. I wish I hadn't been sick, because we wanted to go so many more places, but there is always next year. Halifax, I love you.